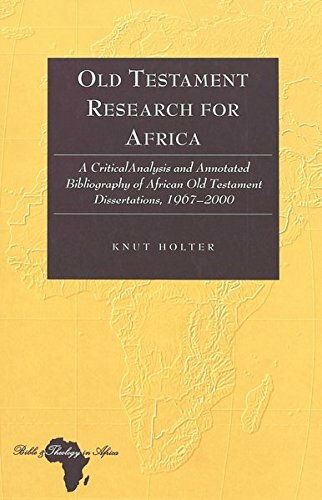 Sub-Saharan Africa experienced a remarkable interest for academic studies of the Bible throughout the latter decades of the twentieth century. A number of universities and theological seminaries developed graduate programs in Old and New Testament studies, and this created a strong need for an academic staff with top qualifications. This book offers a pioneering analysis of the first generation of doctoral dissertations in Old Testament studies written in African and Western institutions by sub-Saharan African scholars. About ninety published and unpublished dissertations from the period 1967-2000 are analyzed from bibliographical, institutional, and thematic perspectives.